The French painter, sculptor and designer, Henri Matisse (1869-1954) was one of the 20th century's most influential artists. His vibrant works are celebrated for their extraordinary richness and luminosity of colour. Drawing with Scissors is a Hayward Touring exhibition from the Southbank Centre, featuring 35 lithographic prints of the famous cut-outs which were produced in the last four years of his life when the artist was confined to his bed. It includes many of his iconic images, such as The Snail and the Blue Nudes. Matisse continued creating highly original works into his eighties. For his cut-outs he used paper hand-painted with gouache, laid down in abstract or figurative patterns: 'the paper cut-out allows me to draw in the colour � Instead of drawing the outline and putting the colour inside it�I draw straight into the colour'. The colours he used were so strong that he was advised by his doctor to wear dark glasses! The lithographic reproductions in this exhibition are taken from a special double issue of Verve, a review of art and literature, published by T�riade, a major publisher of fine art books in 1958. Matisse began his working life as a lawyer, before going to Paris to study art in 1890. At first strongly influenced by the Impressionists, he soon created his own style, using brilliant, pure colours, and started making sculptures as well as paintings. In 1905 he and his colleagues were branded the Fauves (wild beasts) because of their unconventional use of colour, and it was during this time that he painted his celebrated Luxe, Calme et Volupt� (Luxury, Tranquillity and Delight). 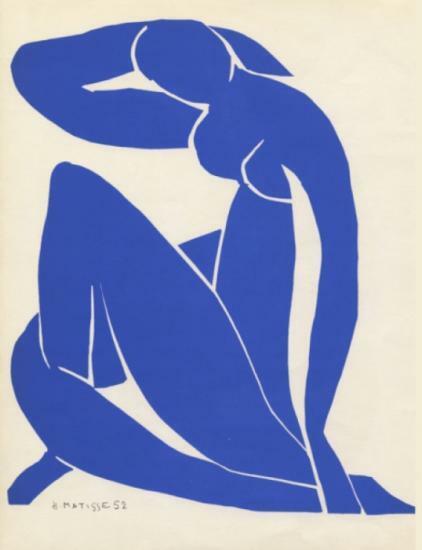 'There is no gap between my earlier pictures and my cut-outs', Matisse wrote, "I have only reached a form reduced to the essential through greater absoluteness and greater abstraction". Fantastic to see working with the lovely music and lighting! Really worth taking the time to see this creative masterpiece!. Elaine Rapson-Grant is an internationally selling artist. She has collectors throughout the UK, Canada, Germany, Netherlands, USA, Australia, Saudi Arabia, Spain, Italy, Channel Islands, Isle of Man, S.
3rd November - 1st December 2012. A group of pupils from five Highland secondary schools have created an exhibition which is their interpretation of the works of American artist Ed Ruscha. 'Ruscha's Room - Se�mraichean Luchd-ealain' is currently at Inverness Museum & Art Gallery until 12 February 2011. Swanson Gallery, Thurso exhibits work of acclaimed American artist Ed Ruscha - Major works from Four Decades ARTIST ROOMS on Tour with the Art Fund supported by The Scottish Government Major drawings by Ed Ruscha, one of the most influential and pioneering American artists of the past half-century, will be opening at the Swanson Gallery, Thurso Library on Saturday 15th January until 26th February as part of ARTIST ROOMS, the important new public collection of international post-war and contemporary art that independent charity the Art Fund is helping to tour across the UK. ARTIST ROOMS is jointly owned and managed by National Galleries of Scotland and Tate on behalf of the nation. Swanson Gallery, Thurso 14 Feb to 14 Mar ~ Precious Cargo 2009 is Scotland's Year of Homecoming and the calendar's theme of migration, boats and the sea reflects this. The exhibition has been designed by Brodie Nairn and Nicky Burns from Glasstorm in Tain as an innovative installation of closed Cargo boxes, one of which opens every day over the festive period to reveal a new object or contemporary 'souvenir' of the Highlands which travellers to lands across the sea might have cherished to remind them of 'home'. Exhibition at The Swanson Gallery, Thurso From Sat 19 Jan to Sat 16 Feb 2008 M, T, W - 1 to 5.30pm Fr - 1 to 8pm Sat - 10am to 1pm Closed Thurs and Sun Admission Free City of the Immortals by Michelle Lord The City of the Immortals is based upon the Jorges Luis Borges short story 'The Immortal'. In a narrative series of photographic images, the fictional city Borges describes is reconstructed for the camera to represent an unbuilt, literary environment Presented by The Highland Council Swanson Gallery 01847 896357 Area Cultural Officer 01349 885114 (NB No Exhibition at St Fergus Gallery, Wick in January due to staff absence. CELEBRATING THE LIFE OF GEORGE BAIN - THE `FATHER' OF MODERN CELTIC ART Groam House, the award-winning museum in Rosemarkie, is embarking on an ambitious exhibition project as part of Highland 2007, Scotland's year of Highland Culture. The project will focus on the outstanding work of Highland artist George Bain, who devoted much of his life to the study of the techniques of the ancient Celtic and Pictish artists.